UPDATED: Thu., July 12, 2018, 11:02 a.m.
Kareen Shanks remembers taking a two-day survey called Project Talent when she was a teenager at Puyallup High School. 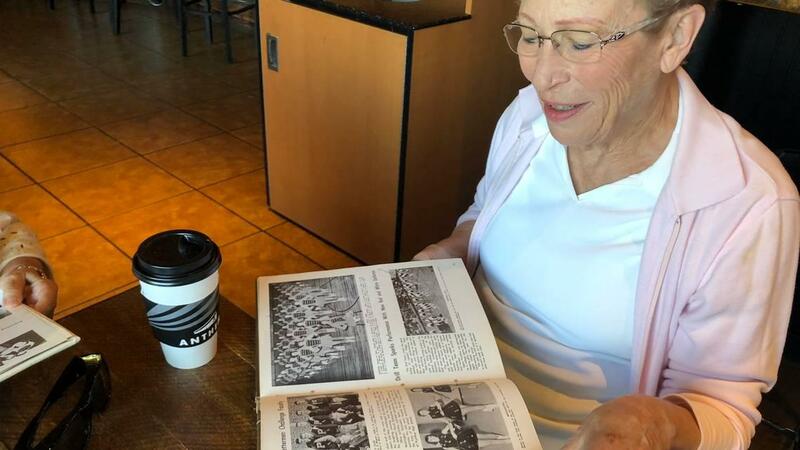 Shanks, now 74 and a 1962 PHS graduate, was told it was sort of like an aptitude test, meant to determine what college or career was right for her. Christine Dorsey, a friend and fellow graduate of Shanks, was impressed too. More than 400,000 high school students from 1,353 schools across the country participated in Project Talent between 1960 and 1963. About 1,269 of the students were from Puyallup High. And now, 130 of those students, some no longer living in the United States, were tracked down to take another survey. This time, the focus is on health. Funding for Alzheimer’s disease research has grown by about $400 million in 2018, Lapham added, with Project Talent being one of the projects receiving funding. Members of PHS classes 1960-1963 who receive a mail survey were urged to complete it and share their experiences with researchers. Participants are asked to return questionnaires by the end of July. Taking part in a survey that covers decades is special, said PHS 1960 graduate Sandy Koehn, who now lives in Mexico. Project Talent is more than just an aptitude test. Developed by the American Institutes for Research and funded by the U.S. Office of Education, it surveyed a wide variety of schools, from public to private, rural to urban, quizzing students with a range of social, economic and cultural backgrounds. The data allowed researchers to conduct studies about the Vietnam War, the education system, educational and career achievement, gender wage gaps and even marriage. “It was a very rich study and intended to be so from the very early days,” Lapham said, adding that the survey was sparked by Sputnik, the first satellite that was launched into space by the Soviet Union. “It was very disturbing to American educators because they had the sense that we were not having enough kids from high school going into science, specifically aeronautical science,” she said. When it comes to dementia research, what Project Talent has that other studies might not is data from youth. Judy Keltner, PHS graduate of 1960, admitted she didn’t think too much of the suvey when she took it. But she’d be interested in seeing the results now and as it relates to dementia research. The toll dementia plays on people, their families and caretakers is enormous, Lapham said. “We really want to figure out ways we can prevent dementia so it doesn’t have this profound impact on these families,” she said. More information on Project Talent is available at projecttalent.org or call 1-866-770-6077. Published: July 12, 2018, 11 a.m. Updated: July 12, 2018, 11:02 a.m.